Facebook has made it so much easier to follow just about anything. RSS feeds and Twitter are still an option for many people. However, with Facebook, once someone “likes” a page, it shows up in their feed on their homepage whenever anything from that page is updated. Unlike Twitter and RSS feeds, on Facebook, it is easier to see pictures and information. It is simple to create a Facebook page that includes links to blogs like this one. What I think is great about a Facebook page is that I can incorporate links to this blog, to my other blogs, and any other sites. It is an all-in-one spot to access information. 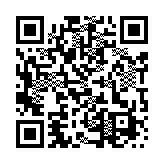 To see my Facebook page, click here. Privacy issues have dogged Facebook and other social media sites for years. There are so many areas within which to adjust settings, it may become so frustrating that people give up trying to figure it out. The Wall Street Journal article, A Guide to Facebook’s Privacy Options, had a very good graphic that demonstrates where to go to make changes to privacy settings. It is important that you go to the icon that looks like a lock with some lines next to it at the top right of the screen. Once you click on that, click on “see more settings”, then click on security (listed at the top left under the word general). Turn on secure browsing which is listed first under security settings – if it is on, it will show enabled. Login approvals can be turned on for extra security. Limit app settings (see left side of screen) so that certain things may not be posted to your profile. “Disable instant personalization if you don’t want Facebook to share your information with partner websites”. Adjust ad settings (see left side of screen) to control what information appears in ads. Potential entrepreneurs often look for the next big idea. With changing technology, it is important to have foresight. It is not always necessary to be the first company to offer a product or idea. Facebook is an excellent example of this. Sometimes an idea can be improved upon or tweaked. Once an entrepreneur comes up with an idea, they must create a feasibility study. After creating a viable plan, there are some unique ways entrepreneurs may obtain financing. Crowdfunding and microlending are just one of the latest trends. Check out the Top 7 Ways for Entrepreneurs to Obtain Funding. The last article is an interesting one, because sometimes people look at trends as positive things. That may not always be true. An important point was made in that article. Bringing value to customers should be a primary goal. Entrepreneurs are faced with many challenges when creating a new business. One of those challenges is to create a feasibility study and business plan. Entrepreneur.com had a very interesting article about how businesses could utilize some unique ways to help create a business plan. In the article Should You Create Your Business Plan on Pinterest, author Tim Berry created a sample Pinterest business plan based on a bicycle shop business. He used charts created by LivePlan. What is Pinterest and why is it Growing So Fast? 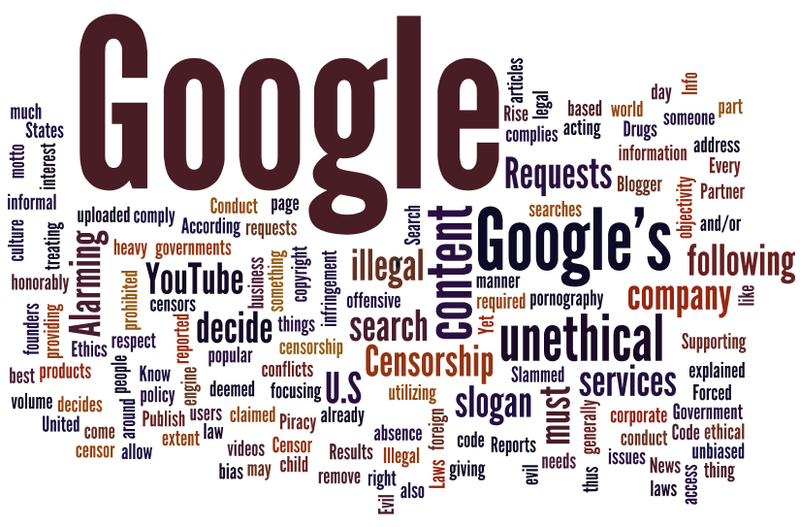 Can Google do business in an ethical manner if they allow for people to search for unethical content? Laws may decide what is legal, but who decides what is unethical or evil? Amazon is an excellent example of an organization that has pioneered virtual business. Other successful organizations include: e-Bay, Zappos, and Netflix. There are some businesses that may not initially seem to be virtual organizations. Jet Blue is one of those companies. In an article by Cisco Press titled, Defining the Virtual Business and Its Benefits, the authors explain how Jet Blue reduced inventory through standardization, reduced real estate expenses, and allowed employees to work from home. To find out more about virtual organizations’ background, characteristics, challenges, and future potential, check out Virtual Organizations. Wal-Mart recently inspired an unusual entrepreneurial competition. Inventors could submit product ideas, with the hope of having their product available on the stores’ shelves. Wal-Mart is not the first company to recognize the importance of fostering creativity in unusual ways. In college-level innovation and entrepreneurship courses, one of the things students learn is that organizations place a high value on entrepreneurial thinking. Wal-Mart initially created the entrepreneurial contest to create buzz in social media. The popularity of the promotion led to some creative ideas by inventors who sought attention for their creations. The Wall Street Journal reported that the winner would have the opportunity to sell on Wal-Mart.com as well as in the physical stores. Kickstarter describes its site as the world’s largest funding platform for creative projects. This unique site allows entrepreneurs to keep ownership and control over their work while tens of thousands of people pledge millions of dollars to help finance their creative ideas. The idea must reach its funding goal or no money changes hands. Entrepreneurs that receive their anticipated funds, can test concepts without risk. Kickstarter’s Blog offers advice to those interested in creating a new project. The site allows for people to browse current ideas or to create their own. To begin a new project dedicated to film, art, technology, design, food, publishing and more, creators can check out Kickstarter school. Once a project is listed on the site, it displays timeline and pledge information including: Percent Funded, Amount Pledged, Number of Days Left to Receive Funds. The picture displayed below demonstrates some examples listed on Kickstarter’s site. On the site’s curated page, it lists “projects curated by some of the world’s foremost creative communities.” The site also allows users to view projects by staff picks, most popular, recently launched, ending soon, small projects, most funded, as well as by category and location. For additional help with the entrepreneurial process, check out the Top 30 Links for the Successful Entrepreneur. Innovative Management Programs – Sites like Brainbank, InnoCentive and Spigit are just a few of the popular sites that companies use to allow employees to submit and vote on ideas. Idea-Management Websites – PriceWaterhouseCoopers created a company site to gather employees’ input about cost cutting, improving customer service and other ways to improve revenue. These sites can be very successful. IdeasAmerica, an association for suggestion administration, surveyed customers and found that ideas submitted by employees saved over $110 million or an average of $1256 per idea. Set up Kiosks – Bruce Power is one of many companies who have set up idea kiosks. Resembling ATMs, these kiosks are easily accessible and allow employees to vote on ideas. Create Financial Incentives – Companies may give rewards for employees’ ideas that result in cost savings. They may receive financial incentives or points to use toward rewards. Set Up Idea Challenges – Allstate created an online challenge for its employees to come up with some good ideas about how to create their company app. Article first published as Purchasers from Amazon Responsible for StateTaxes on Technorati. This has been a sore spot for many of Amazon’s competitors. Many of them feel that if they should have to handle the taxes for customers, so should Amazon. This advantage has made them undersell big competitors like the Apple Store and Best Buy. Purchasers from the Amazon site may think they are getting a better deal. In reality, there may be taxes owed, but it won’t be by Amazon. What many people in certain states like Arizona don’t know about their purchases on Amazon, is that it is going to be up to them to keep financial records of what taxes are due. At the end of the year, when they file their tax returns, these taxes should be included in any amount owed to the government. What if you haven’t kept all of your Amazon receipts? Go to your account page on Amazon and under Order History, click on Download Order Reports. This tool allows you to put in the date range of purchases to request a report of purchased items. According to Amazon’s site, “Items sold by Amazon.com LLC, or its subsidiaries, and shipped to destinations in the states of Kansas, Kentucky, New York, North Dakota, or Washington are subject to tax.” It is wise to check with your state to see what your tax obligation is. For more information from Amazon regarding taxes, click here. Andersen does a nice job of incorporating the “Did You Know?” video into her presentation while showing how to utilize Prezi to its fullest. Click on the presentation below to find out more about choices and how knowledge and skills can affect career paths. Particularly fun is the “Little Billy” video showing what happened to Billy and others when they entered the workforce and experienced information overload syndrome. If you have ever wondered how to make the most out of using Prezi, this presentation can show how to do this. What is Prezi and How does it Compare to Powerpoint? Hashtags are a popular way to start up a conversation about a specific topic within Twitter. By putting the # sign before a subject, it creates a conversation that others can join. For example, if I wanted to tweet about plastic surgery, I could include #plasticsurgery within my tweet and it would list my comment on the discussion being held within Twitter about that topic. As you can imagine, a recent popular hashtag topic was #royalwedding. Trendistic is another site that can tell you just how popular a hashtag is on Twitter. If you type in the hashtag phrase into their search, it can tell you not only the most recent conversations about that phrase but also how active it has been for the last 24 hours, 7 days, 30 days, 90 days and 180 days. 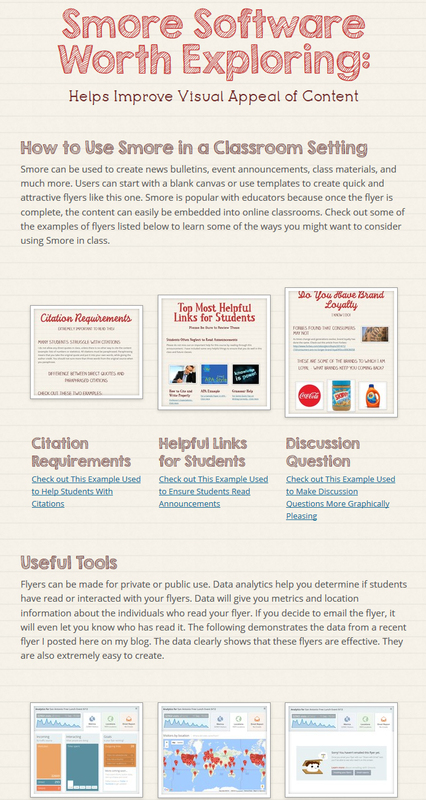 The site also gives embedding information so that you can put their charts on your blog or website. Check out the right side of the main Trendistic site to see a list of the top trending topics. 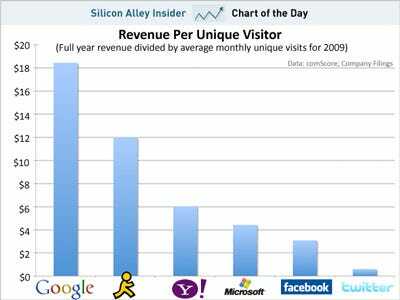 The dot com crash has had a big impact on how venture capitalists invest in the current market. To understand why, it is important to know a little history about the impact of the Internet and why these investors are leery. The Internet became commercially popular in the mid-1990s. By 1995, there was an estimated 18 million users on the net. This led to the creation of online businesses which led to speculation about how big these companies could grow. 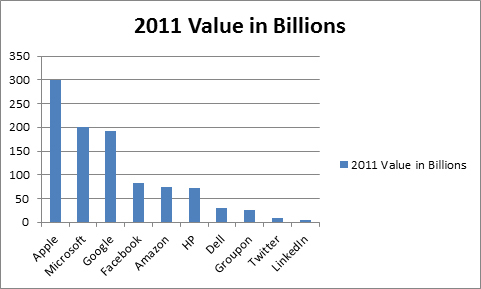 The problem came with how much these companies were actually worth vs. how much they were perceived to be worth. What causes a bubble and eventual crash? When people get excited about a company stock, it can drive the price up but if it inflates to an unrealistic point where investors get wise to the fact that the company can’t be worth as much as they hoped, people bail, sell the stocks, the price drops, and the company crashes. The pain of those dot com crashes are still felt today. Venture capitalists now may be more hesitant to invest. Tom Abate with SFGate.com said that venture capitalists in 2000 made about 8000 investments valued at $100.5 million. “In 1999 and 2000, Wall Street invested in 534 venture-backed initial public offerings.” Those, who cashed in early, made a lot of money. As large amounts of money were being put into the market and speculation was growing, the bubble was forming. NASDAQ hit its peak on March 10, 2000 at 513252, only to lose 78% of its value by October, 2002 when it dropped to 11411. In 2001-2002 while a lot of companies were over-valued and going bankrupt, people found their stock purchases were not such a great investment. So now when Facebook and Twitter are considering going IPO it has some potential investors concerned. This is especially true in the case of Twitter that has yet to publically show their business plan. Those interested in immediate gratification have made Netflix a popular choice for movie viewing. Amazon has now taken on the challenge of competing with Netflix. Amazon’s “Prime” subscription program costs $79/year which includes their 2-day shipping on purchases. Prime also includes more than 5,000 video-streaming movies and television shows. Most of what they offer includes older television seasons and movies. Netflix’s “Watch Instantly” program costs $7.99 a month and video-streams over 20,000 titles. This brings their price to over $95/year. Many of their movies are newer, but their TV shows consistent of previous seasons. How will this affect the cable and satellite industry’s relationship with TV networks? That is something that TV executives must consider as more than $30 billion a year comes to networks from subscriptions. For-profit education is beginning to feel the squeeze. July 2, 2012 marks the day that the U.S. Department of Education rule goes into effect. This rule restricts students from using government aid to pay for schooling that doesn’t include occupations that have a strong entry-level salary. This isn’t the only issue that for-profits are facing. A loophole has been close that would allow schools to financially reward admission counselors for enrolling students. This is one of the reasons enrollment is down at some of the major for-profit universities. This has also led these universities to increase tuition to cover their losses. The programs that are considered not high paying enough to meet the Gainful Employment rule will be shut down. The New York Times reported that accounts for only about 5% of these schools’ programs. What happens to the students already enrolled in them? The Arizona Republic reported that they are allowed to continue with the program under the “teach out” rule. Many for-profit universities are implementing new programs to help face their new challenges including: orientation programs to improve retention, trying to bolster brand awareness, and finding ways to comply with the July deadline to meet the Gainful Employment Rule. It is important that students are able to complete their programs, not only to pay back the loans, but to move ahead in their careers. The New York Times claimed, The report, “Subprime Opportunity,” by the Education Trust, found that in 2008, only 22 percent of the first-time, full-time bachelor’s degree students at for-profit colleges over all graduate within six years, compared with 55 percent at public institutions and 65 percent at private nonprofit colleges. Many are now just completing their MBA or considering starting their own small business. There is a great article from BSchool that includes 50 excellent lectures about entrepreneurship, practical tips, innovation, leadership, technology and the economy. The courses come from sources like the University of California through UCTV. The one I first watched was an hour long and had four accomplished entrepreneurs discuss the excitement and challenges of starting a business. It offered an insight into what to expect as a new entrepreneur and pitfalls to avoid. online business schools. They provide thorough information on MBA subjects, specialty MBAs and business school rankings. These lectures tackle topics in entrepreneurship, from appealing to the consumer to making great pitches. Entrepreneurs: Four entrepreneurs share their journeys to open a new business, and the talks inspire passion and excitement. Entrepreneurship and Society: This talk from UCTV is led by Tom Kemp, President and CEO of Centrify Corporation. He talks about what new ventures need in order to effectively appeal to the modern-day consumer. Women Entrepreneurs: Consider the differences between men and women as business leaders and owners. Presidential Summit on Entrepreneurship: President Obama gives a talk to an international audience on entrepreneurship and realizing the American dream. Entrepreneurs: Then and Now: Guy Kawasaki compares the foundation of entrepreneurial strategy during the late 1990s and what’s popular and effective now. Leadership and Entrepreneurship: This lecture from MIT World features three business leaders from completely different fields but who have relied on their instincts and bold ideas to get their ideas off the ground. Whatever it Takes to Stay in Business: Frank Levinson encourages entrepreneurs to lose their pride, just like a baby, in order to please their customers and stay in business, whatever it takes. New Media Entrepreneurship: This talk is from 2008 but still has valuable tips on developing a good, emotional, factual pitch and going for the gold in order to move up in business. Behaviors of Successful Business Owners: Ron Finkelstein from Akris, LLC shares how entrepreneurs can make more money and develop productive employees, all with an efficient use of time. David S. Rose on pitching to VCs: In this TED lecture, serial entrepreneur David S. Rose helps you to pitch and prove yourself to venture capitalists. From management to marketing, here are lectures that give you new ideas to help you build your business. John Gerzema: The post-crisis consumer: Learn how to appeal to the post-recession consumer here. Team Process Leadership: James Seferis’ innovative philosophy on business leadership and success involves active participation from all team members. Finding Gold: Hiring the Best and the Brightest: Watch this lecture from UWTV to build an invaluable team that’s focused, motivated and cooperative. Customer Relationship Management: Former Amazon.com executive Bill Price weighs in on customer relationship management. Marketing a Start-up: Learn how to develop a smart marketing strategy before attempting to sell anything. The Case for Sustainability: Sustainability isn’t really an option for new business owners in today’s society: it’s a necessity. Here you’ll learn how to develop a sustainable, environmentally conscious business that’s also attractive to consumers. The Naked Corporation: Learn how to be a more transparent and honest business owner, in an age when positivity is just as important as profitability. Talk to an Angel: Crucial Connections to Early Stage Capital: This group from MIT helps entrepreneurs find the right investors when they’re first starting out. Joseph Pine on what customers want: Writer and consultant Joseph Pine gives tips on selling authenticity to modern consumers. Choosing people — the ultimate talent? : Look over the transcript from this lecture given at Gresham College to choose the right senior people so that you have less managing to do later. Challenges of Managing: Firing People: Gajus Worthington is a proponent of firing employees in order to produce a healthy, successful business. This 22-part lecture series offers tips for firing and recruiting. Business Ethics: These lectures given by top business executives and professors will clue you into integrity, corporate responsibility, and ethical leadership culture in the business world. No Sweat Speaking: Whether you need to work on giving pitches or improving upon your networking skills, this public speaking lecture will teach you how to tell a good story, make use of the audience, and relax before speaking. Chinese Business Culture for Business Travelers: If you plan on doing business in the East or recruiting from China, watch this lecture. Learn how to effect change and inspire your workers here. Leadership in an Age of Uncertainty: James Parker and Barbara Stocking discuss strategies for energizing and motivating all employees of an organization, from the top down. Bringing Creativity into an Organization: Ignore the classic MBA management strategies if you want to really cultivate creativity in your workplace, argues Robert I. Sutton. Building the Next Generation Company: Innovation, Talent, Excellence: Lecturer John Chambers came out of the last recession with big profits, and in this speech, he explains how you can beat the recession, too. Seth Godin on standing out: Don’t bury your creative ideas because they seem outrageous: those are the ones worth nurturing. Howard Rheingold on collaboration: Learn how to work with team members around the world with technology, new media and open culture. Richard Branson’s life at 30,000 feet: Notable entrepreneur Richard Branson is interviewed about his larger than life ideas, his major struggles, and his motivations. A Policy on Leadership: If your business is struggling — or you want to prevent a fallout — watch this lecture to learn how to create a fact-based analytical organization and good management teams. Values-Based Leadership: Strive to be a leader with character, and you’ll end up inspiring your employees to work just as hard as you do. Innovative Leadership during Economic Crisis: Let this lecture help you to think outside the box, no matter what kind of crisis is getting in your way. You’ll learn how to be innovative in three areas: with customers, people, and products. How great leaders inspire action: Simon Sinek’s TED speech uses examples like Martin Luther King, Apple and the Wright brothers to explain how the mark of a great leader is his or her ability to inspire action and change. Composing a Career and Life: Get inspired to take a nonlinear path when obstacles are tossed into your plan. Derek Sivers: How to start a movement: Don’t settle for selling goods or services. Learn how to start a movement. The case for collaborative consumption: Rachel Botsman’s lecture focuses on our natural desire to share, and how collaborative consumption is a powerful economic force. Gerd Leonhard: Find out why ego doesn’t have a place in business anymore, and what that means for your business plan. Video Player The Power of Competition: How to Focus the World’s Brains on your Innovation Challenges: Conversely, Fiona Murray believes competition is healthy, too, and asks business owners to embrace it in order to add a jolt of energy to the enterprises. Nurturing a Vibrant Culture to Drive Innovation: Here’s another lecture on inspiring innovation in order to nurture a talented, unique team that drives your business. Become a smarter user of technology so that social media and other tools end up working for you. Technology and the Recession: how new technology is changing the way we do business: Consider technology’s new role in business. Craig Mod: Publisher and developer Craig Mod discusses the changes coming for the book publishing industry, but as one commenter notes, the questions raised are relevant to all business ventures. Why social network mess can benefit your business: Euan Semple’s talk should convince you to get involved in social media, even though it’s always changing. Discover how to work with the economy, even in bad times. Shaped by Booms and Busts: How the Economy Impacts CEO Management Style: On your way to becoming a CEO, find out how to make room for economic changes. Video Player The Economic Meltdown: What Have We Learned, if Anything? : Paul Krugman delivers this lecture to MIT to help us learn from our mistakes. Alex Tabarrok on how ideas trump crises: Consider the notion that free trade has opened us to global collaboration and an idea-sharing culture. Hanna Rosin: New data on the rise of women: Get statistics on the rise of women in the workforce, and their newly appreciated value in the economy. The Resilient Enterprise: Overcoming Vulnerability for Competitive Advantage: Here you’ll learn why it’s important to organize your company so that it can withstand catastrophe, from an economic downturn to an event like 9/11. Making Globazliation Work for All: Watch this lecture to learn how to make use of globalization without succumbing to immoral practices, like using sweatshops. Business, Knowledge and Global Growth: You’ll learn about the true impact that MBAs and business schools have had on the economy. In case you are wondering Fluther rhymes with brother and it is a word that means a group of jellyfish. Fluther’s site is about directing your questions to the people who have the answers. Answerers are encouraged to use humor while expressing their opinions. There is a lot of speculation about Twitter’s interest in Fluther. One of the main things that Twitter may be hoping to add is more of a Question and Answer ability to Twitter. The following is from Anne McCauley’s article for CareerConnectors.net. To see the whole article and the 10 step process that was discussed at this meeting, go to the article by clicking here. Do you feel overlooked by prospective employers? Maybe you are and could consider Marketing Yourself as a Product. This week at the Gilbertevent Dr. DianeHamiltonspoke to more than 100 job seekers about ten ways to market yourself to get the job. Dr. DianeHamiltonis the author of several books including How to Reinvent Your Career and It’s Not You, It’s Not You It’s Your Personality. If you missed her presentation, borrow copies of her books from the local library; her presentation was based in part on her books. 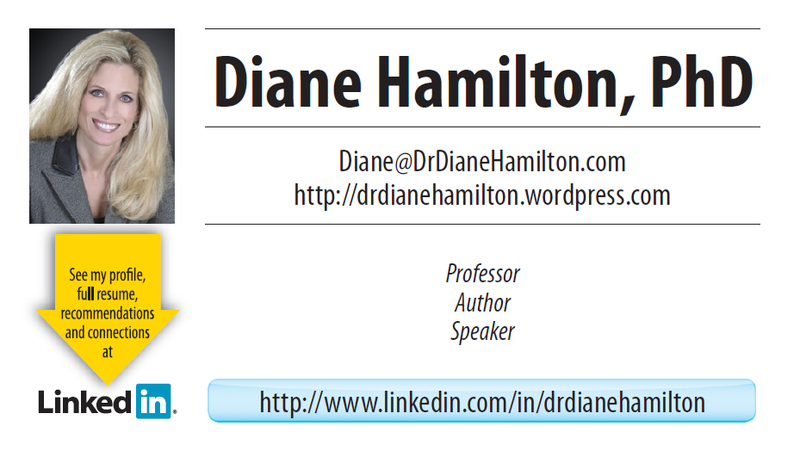 Click here for the information from Dr. Diane Hamilton’s talk. Affiliate Marketing – A marketing practice in which a business rewards one or more affiliates for each visitor or customer brought about by the affiliate’s own marketing efforts. Below and above the fold – Where an ad is displayed on the website and you have to scroll down to see the ad. Blog Roll – It is a list of links to blogs that a blogger likes. Bounce Rate – The percentage of initial visitors to a site who bounce away to a different site, rather than continuing on the current site. CES – Customer Effort Score. Cloud Computing – Sharing resources rather than having your own servers to do it. CLV – Client Retention Rate. Container Tags – Used to affect a certain portion of your material. Container tags operate on the material between the opening tag < tag> and the closing tag </ tag>. Cookie – A message your web browser uses to identify you and remember information for each time the browser goes back to access the server that gave it the cookie/message. CPA – Cost per action – the publisher is taking most of the advertising risk, as their commissions are dependent on good conversion rates. CPC – Cost per click. Advertisers pay for their ad when someone clicks on it. CRM – Customer Relationship Management – Managing a company’s relationships with customers and clients. CSR – Corporate Social Responsibility – Operating a business in a socially responsible and ethical manner to have a positive impact on society. CTR – Clickthrough Rate – A way of measurer success of an online advertising campaign. Take the number of people who clicked on an ad and divide by the number of times an ad was delivered (also known as impressions). CV – Curriculum Vitae – Used instead of a resume. 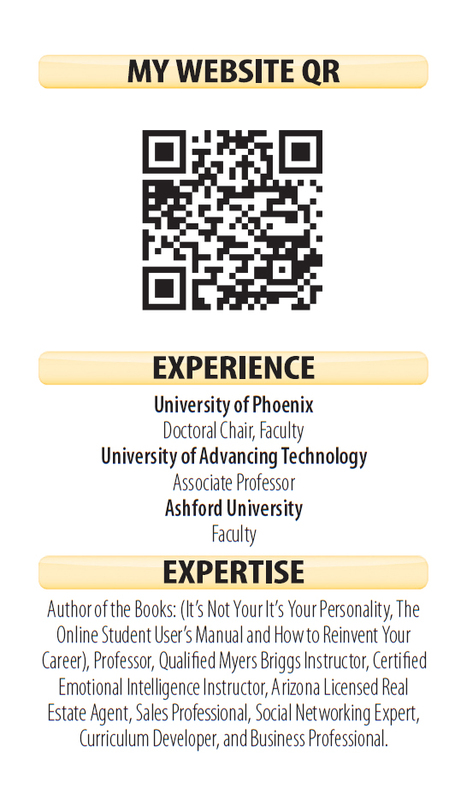 It is a written description of work and experience commonly used by professors and outside of the US. 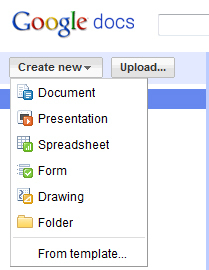 Data Feed – Users receive updated data from data sources. Day-Parting – Showing an ad at a specific time of the day. DM – Abbreviation for direct message. DMA – Designated Marketing Area (ties in with geo-targeting). Dongle – A mechanism like a hardware key that only authorized users can use software. DSPs – Demand-side Platform – DSPs centralized management of accounts and reporting and a central hub for handling data to help with the real-time bidding valuation. Ethernet – is a family of frame-based computer networking technologies for local area networks (LANs). 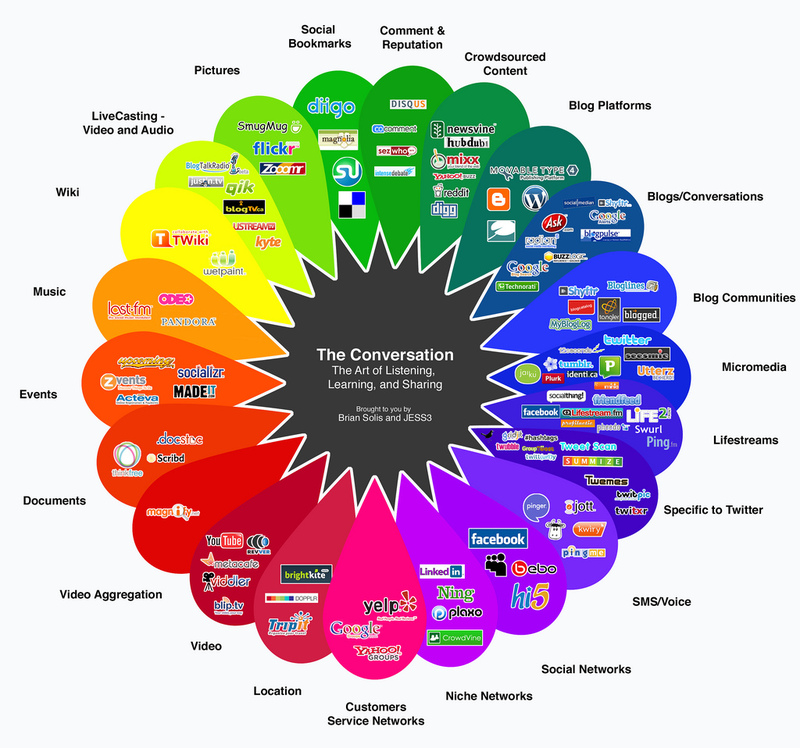 Forum – An online discussion group. HTML – Hyper Text Markup Language – Uses markup tags to describe web pages. IAB – Internet Advertising Bureau. iFrame – An HTML structure that allows another HTML document to be put into an HTML page – iFrames are set up as a window frame. Jitter – Flickering on a display screen. Modem – A device that modulates a signal so that you can receive data. Nanotechnology – The study of manipulating matter on an atomic and molecular scale. 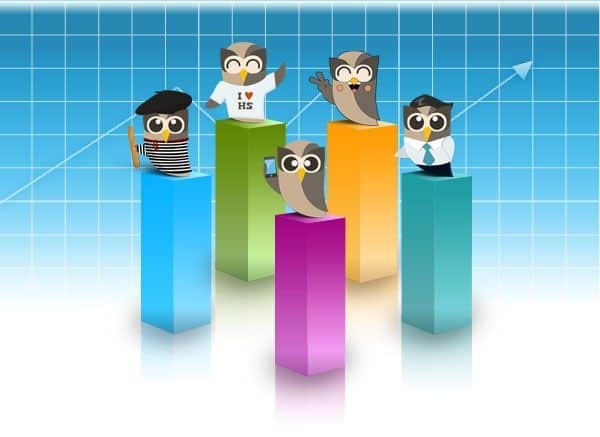 NPS – Net Promoter Score – Defines the loyalty of a customer relationship. OEM – Original Equipment Manufacturer – Company manufacturers’ products are sold under the purchaser of that product’s brand name. The original company that manufactured the product is the OEM. PA – You may hear someone say “talk to my PA”, referring to their Personal Assistant. PC Suite – A software package used to establish an interface between Nokia mobile devices and computers that run Microsoft Windows operating system. PING – As in Ping me back – Used a variety of ways. Usually means to instant message or email someone back. The word ping in the technology world is actually short for Packet Internet Groper, a utility used to check for network areas. Plog – A political blog. Quicktag – A button that inserts HTML in to your post. RTB – Real Time Bidding. ROAS – Return on Ad Spend. Router – A device that decides where information should be forwarded. RSS – Real Simple Syndication – If you want to receive information from a specific website, you can click on the RSS feed button and have updates from that site show up on your RSS reader such as Google Reader. Sales Deck – Your sales presentation/slides you present to the customer. SEO – Search Engine Optimization – Improving the ability to be seen on a website by search engines. SEM – Search Engine Marketing – A form of marketing to promote a website through increasing visibility in search engine result pages (SERPs). Time Shifting – Refers to recording programming for later use. Toggle – Toggling means to switch from one setting to another. It implies there are only two settings. Think of a light switch that clicks on or clicks off. Twishing – The act of sending a message to a Twitter user in an attempt to obtain his or her name and password. Think Tweeting and Fishing combined. View Throughs (also known as Post-Impressions) – If an ad on a site influenced consumers to search, then purchase a product, the referrer gets credit for influencing the purchase behavior. WAP – Wireless Access Point – A device that allows wireless communication. It usually connects to a router. Wiki – A website that allows a lot of people to add to the content for collaboration. Think – Wikipedia. XML – Extensible Markup Language. There are so many terms; it is hard to just pick 55. Please feel free to respond and add any words that you feel are just as important to be aware of in today’s workforce. As mentioned, flip phones were very similar to the transporter on Star Trek. TV video phones have been seen in a lot of different movies and shows. Back to the Future featured these as well as a lot of other inventions that made it to market. Click here to see the others. Remember Marty’s cool shoe laces? Yep. . . they have arrived. Earbud headphones were predicted in Fahrenheit 451. Mashable has this example as well as many other very unusual things that have made it to market. See that list of astounding prediction by clicking here. The Jetsons had a number of product predictions come to fruition. One of those things is the tanning bed. 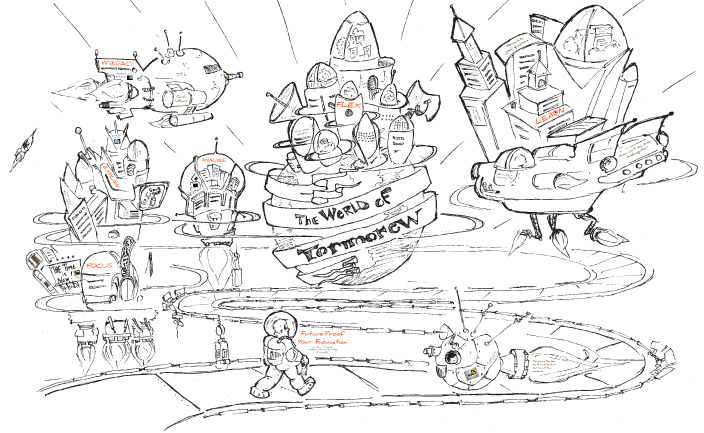 Check out a techvert.com article by clicking here to see a list of some more Jetsons inspired inventions. Remember the Jetsons’ robotic vacuum? We now have the Roomba. Virtual reality was seen in many movies including Tron and the Matrix. Cracked.com includes virtual reality on their list of seemingly awesome inventions that came to light in not so awesome ways. Television surveillance was just a future possibility in Orwell’s 1984 classic. Anyone who watches CSI knows that there are cameras keeping an eye on us from just about everywhere these days. Online Newspapers were shown in 2001: A Space Odyssey. With RSS feeds, we can create our own online newspapers tailored to our unique interests. Credit Cards were envisioned in Edward Bellamy’s 1888 novel, Looking Backward. H. G. Wells wrote about automatic doors in his 1899 novel, The Sleeper. Dubbed the Gmail killer, Facebook’s new email program is to launch on Monday. There has been talk about a secret product from Facebook and this appears to be the secret. As people are jumping from the AOL ship, Google, Yahoo and other email providers are concerned that Facebook could take away their business. 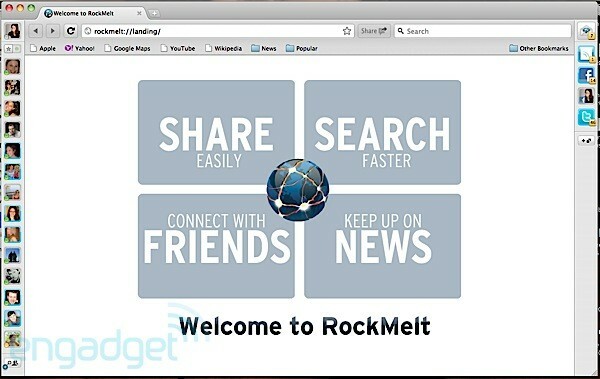 The beta version is being made available today and is built around sites like Facebook and Twitter. For more information, check out their video below. What is a Monopsony? How does it Relate to Companies like Wal-Mart, Microsoft and Google? Many have heard the word monopoly but have you heard the word monopsony? This word is becoming more commonly used. A monopsony exists when there is a market dominated by a single buyer, giving power to set the price for whatever is being purchased. If there is no competition, the buyer can pay less for what they are purchasing. Demand all comes from this one source. This would be the opposite from a monopoly where the monopoly is about supply; the monopsony is about demand. Some examples that have been given of monopsonies include major employers in a small town, universal healthcare, and the post office. Some very popular companies such as Wal-Mart, Microsoft and Google have also been called monopsonies. Can a company be both monopoly and a monopsony? In a white paper about Google, it is suggested that Google’s has a monopolistic hold on search advertising, but also may be considered a monopsony, by restraining digital commerce. Click here to find out more about Google and its stronghold in the technology market. What is Blekko? Can the SlashTag Search Engine Compete With Google? Blekko has been in development since 2007, but it has only recently become available to the public. Blekko is a search engine that has its sights on Google’s business. To do this, they are focusing on what they can do differently. Think of slashtags as something like this: drdianehamilton/books. By doing this search, it pulled up more specific information about my writing. It can be helpful to make the search more specific. Why the name Blekko? Co-founder, Mr. Skrenta, used to refer to his personal computer in college by that name. 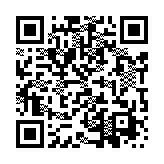 For more information about Blekko, check out the following link from WJS.com. A survey from the Federal Trade Commission (FTC) that was just released claims that 95% of those products that label themselves as green are misleading us. Many are making claims without the proof to back them up. What is greenwashing? If you combine whitewashing and green, it implies deception in the use of stating a product is “green” when it may actually not be. This is a big topic that my students and I discuss in my marketing and ethics courses. To see the study, Greenwashing Report 2010, click here. What is Rapleaf and What Do They Know About You? I’ve seen blogs that consider this “scare journalism”. Are these articles meant to scare us or are they something we need to worry about? Rapleaf knows your real names and email addresses. It can build rich profiles by tapping voter-registration files, shopping histories, social-networking activities and more. In effect, it can built the ultimate dossier on you. Rapleaf sells pretty elaborate data that includes household income, age, political leaning, and even more granular details such as your interest in get-rich-quick schemes. According to the WSJ, Rapleaf segments people into 400 categories. Rapleaf says it doesn’t transmit personally identifiable data for online advertising, but the WSJ found that is not the case. Rapleaf shared a unique Facebook ID to at least 12 companies and a unique MySpace ID number to six companies. Any sharing was accidental, the company said. Mashable had an interest article about how to use Youtube to get a job. 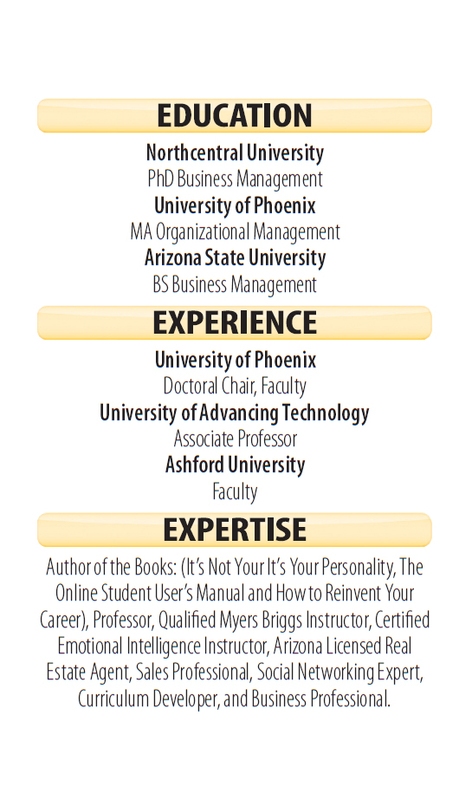 To learn more about how to get noticed through sites like YouTube and others, check out: How To Reinvent Your Career. Not only is it possible to use YouTube to get a job, but it’s becoming a more popular option, especially for the current crop of would-be-employees that grew up with web video. Some argue that video is a more personal tool for job searching, acting as a digital interview, while others see it as cold and alienating, as it lacks the face-to-face element. But YouTube isn’t just about video resumes — there are a variety of creative ways to hop online and get hired. Even better, YouTube isn’t just for Millennials. Web video can be useful for professionals of any age looking to expand their audience or pick up new clients. With a little creativity, honesty and hard work, you can utilize YouTube to create a more effective (and more interesting) professional and digital image, rather than just falling back on the ol’ resume (digital or not). Read on for five ways to use YouTube to get a job. 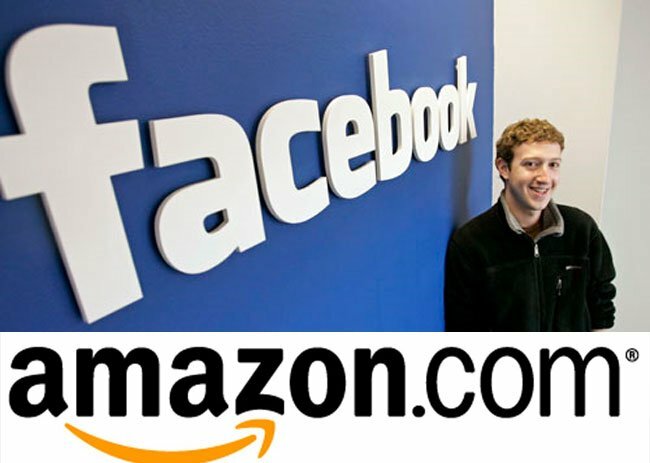 LANewsMonitor reported:Amazon.com, Facebook and others on Thursday announced that they will be investing in a new, $250 million venture-capital fund which will target at start-ups and will be designed to better connect people online. KPCB partner Bing Gordon, who is also a former executive with Electronic Arts Inc., will head the social startup fund. This was revealed at Facebook’s Palo Alto, Calif., headquarters on Thursday. As more people are entering into different areas of social media, it can be confusing to keep track of whether your message is being delivered. 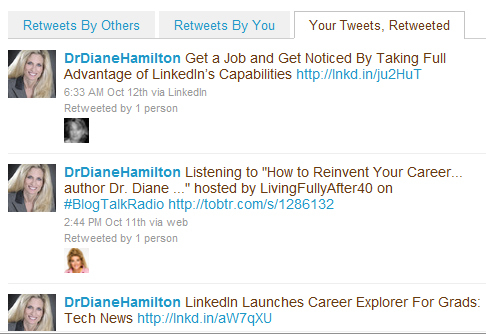 If you are on Twitter, you can easily see who is retweeting your tweets. Wow . . . that was a lot of T’s! It is easy to check to see who is sending out your messages and which messages are getting the most focus. Twitter allows you to pick lists of people to follow that have been created by other people. There may be times when you don’t to follow every single person on that list or you want to follow the entire list of them directly rather than through a list. The solution: TweepML is a simple format to make it easy for people to share a list of Twitter users “Tweeps”. If you click here you can look for lists. I can type in a word like “jobs” and it will show lists and tell how many users are on that list. If I should pick a list, it will pull up the entire list. I can look at who is listed and follow the ones I want easily by keeping the automatic X that is next to their name or removing it from the ones that I do not want to follow. You can clear all of the X’s and pick one at a time or keep all of the X’s and remove one at a time. You can add TweepML to your website to make it easy for people to follow everyone on it with a single click. If you want to see what lists are popular, the main page contains a list of the most popular lists. You can create your own list and share it with the world by clicking here. When original owner of the site, Marcelo Carbucci, put TweepML up for sale earlier this year, I wondered what the impact would be. Since then, I have noticed a lot more activity with people finding me through their site. I am curious to see how this site will grow under new management. 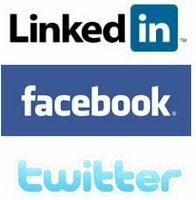 I utilize Facebook pages to connect with people about my books and writing, so I am always interested in finding out more about what makes a Facebook page become successful. I ran across this very interesting article by Emily Molitor with Smartblogs.com . . . Here is an excerpt from that article. To read the full article click here. One of the main aims of companies using Facebook for business is generating awareness, as Jay Baer pointed out in his Facebook Success Summit session on Tuesday afternoon. The top way to do this, Baer says, is to win the News Feed. It seems simple: If you get someone to “like” your company’s Facebook page, then they receive the content you send out, right? What is Google Checkout? How Does it Compare to PayPal? • Stop creating multiple accounts and passwords. With Google Checkout™ you can quickly and easily buy from stores across the web and track all your orders and shipping in one place. • Shop with confidence. Our fraud protection policy covers you against unauthorized purchases made through Google Checkout, and we don’t share your purchase history or full credit card number with sellers. • Control commercial spam. You can keep your email address confidential, and easily turn off unwanted emails from stores where you use Google Checkout. If you want to hear testimonials from Google Checkout customers, click here. 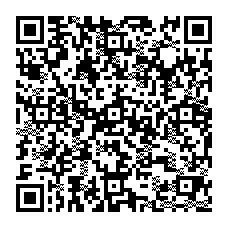 If you would like to take a tour of or see a short video about Google Checkout, click here. Once you sign up, they offer a deals page where you can find discounts from many different stores. How does Google Checkout compare to Paypal? How customers can make payments. With Google Checkout, customers can only use the credit or debit card. It is possible for customers to store this information in order to avoid entering it every time. PayPal, on the other hand, allows for credit card payment or deduction from a bank account. eCheck capability is also available. In this way, PayPal is more diverse. Rate merchant reliability. For many online shoppers, it is important to know that you are reputable. Both Google Checkout and PayPal rate merchants. International shopping. PayPal has a definite edge in this area. Google Checkout is only available for U.S. purchases. PayPal, on the otherhand, is accepted in 55 countries. In addition to the U.S. dollar, PayPal also accepts the euro, the pound, the Canadian dollar, the yen and the Australian dollar. Currency exchange is also available (for a fee). 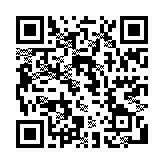 Fees for accepting payments on your business Web site. Depending on the level of you account with PayPal, you pay 1.9 percent to 2.9 percent of your sales, and sometimes you pay 30 cents per transaction. Google Checkout is 2% of sales, plus 20 cents per transaction. However, with Google, you can use your AdWords account to reduce the cost of your transaction fees. This arrangement does not exist with PayPal. Customer service. It is worth noting that PayPal offers a customer service line with live people (you can call a phone number). It can be difficult to contact Google Checkout customer service in any way besides the forum provided or email. One of the main advantages that Google Checkout has is its integration with AdWords. This means that you can get preferred pricing on a number of services – and even automatically pay transaction fees with earnings from your AdWord account. Additionally, when your ad is displayed on other Web pages and in search engine results, a shopping cart icon appears so that it is easy to see that you accept Google Checkout, offering a possible way to increase sales. With PayPal business merchant account, a great many of the advantages come in the fact that more people use PayPal, and that there is a range of services and features available that include invoicing, statements, shipping and tax calculations and customer options. You should carefully consider your needs before deciding on whether or not to go with Google Checkout or PayPal. How you run your business, and the kinds of features and services you want should be factors in which payment processor you use. The blogosphere is in a tizzy over Facebook‘s much-anticipated announcement, as techies ask the burning question: What exactly will the social networking site unveil? And the rumors are flying as Facebook holds an invitation-only press event on Wednesday. Have you ever wondered why a certain product was invented? Some of them that have been a big success actually were a mistake. 1. Coca-Cola – A pharmacist, trying to make a tonic for people with sore teeth, found that when he taste-tested it, it wasn’t too bad. He added a little carbonated water and low and behold . . . a great product. 2. Sticky Notes – Post it notes by 3M was discovered when trying to find a better adhesive tape. The scientist found an adhesive material that just wasn’t sticky enough though. While this same scientist was at church looking for a way to stick notes to his hymnal, he decided to use that not so sticky stuff he created to help hold his work in place. A new idea was born. 3. Scotchgard – Another 3M product was created out of trying to create rubber for airplane fuel lines. After spilling some on their shoes, the scientists realized that this stuff was protective and wouldn’t come off. Through time, the shoes looked dirty everywhere except for where they spilled the substance. 4. Rubber – Its first use was when they discovered it could erase things from a piece of paper. The original substance was unstable because it would become too liquid or shattered based on temperature. When rubber and sulfur were accidentally dropped onto a hot stove, the combination turned out to be something no one had anticipated. 5. Penicillin – Spores that contaminated a bacteria sample were the unintended beginning for this drug. When the scientist took a closer look at these spores, he noticed they were actually doing harm to the bacteria. 6. White Out – A secretary who took pride in her work discovered this while trying to cover up some of her errors. Soon other secretaries were asking to borrow her concoction. This started the Mistake Out Company, later named Liquid Paper. Are you looking for ideas to write about on your blog, check out this video by Problogger Darren Rowse by clicking here. In the video, he mentions using AWeber for your newsletter. I use AWeber and think it has some great advantages. To see my links for the newsletters from AWeber, click here. Feel free to sign up for my newsletters to see the format in which they are delivered. They create very professional looking newsletters. I highly recommend them.